It’s rough around the edges and doesn’t always keep the pace consistent, but it shows real promise that was never quite realised. 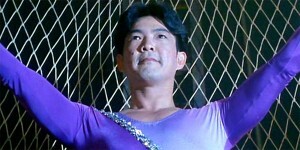 Budget restraints are sometimes apparent, but this doesn’t detract from another quality Yuen Biao vehicle. 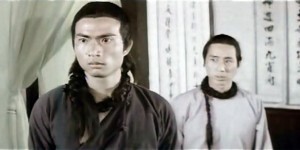 ‘Kung Fu of Eight Drunkards’ is interchangeable with most of the other independent productions of the time, the same strengths and weaknesses again apparent. There are quite a few spurts of fight action, but these are in-keeping with the playful tone of the film and offer little spectacular. Although there is a great deal of potential within the casting, ‘Mr.Boo Meets Pom Pom’ is certainly the weakest of the Pom Pom quartet. 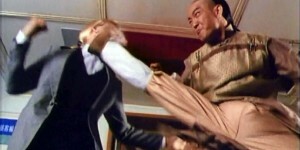 ‘Shaolin Temple’ is still a major achievement by a film-maker who was one of the true creators of the genre. There is, therefore, plenty to put this near the top of your viewing list. It’s certainly worth watching once, but as the action is good but not great it is unlikely to require repeat viewings due to it’s shortcomings in other areas. Despite never straying towards originality and unlikely to win awards, there’s still an admirable mixture of action and drama to commend. 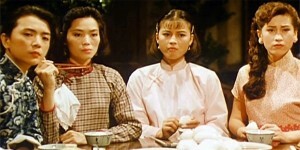 All in all, another quality Sammo production that deserves a wider audience. 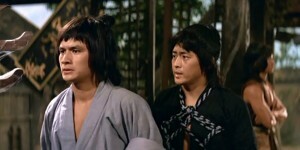 For anyone who wants a change from the late-70s kung fu comedy cycle, ‘The Heroes’ is a film that is heartily recommended. 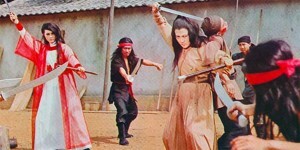 A splendid, fight packed romp that is a must for any fan of Fu Sheng. In fact it’s probably a must for any fan of kung fu films.